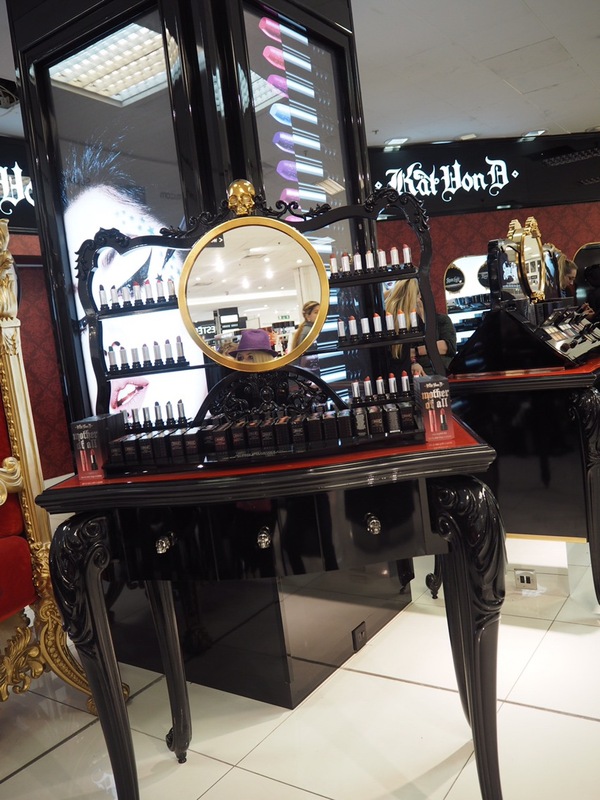 We’re so lucky in Cardiff, a new humungous Kat Von D beauty counter has just opened in Debenhams (one of the biggest in the UK). Here is my take on the brand and a glimpse into the looks you can create with KvD makeup. For those of you unaware Kat Von D is a tattoo artist made famous by a tattoo parlour based reality tv show. So she’s mega edgy and pretty and cool. She’s been in the makeup game since 2008 and specialises in long lasting formulas and bold colours (a bit like tattoos, funny that). 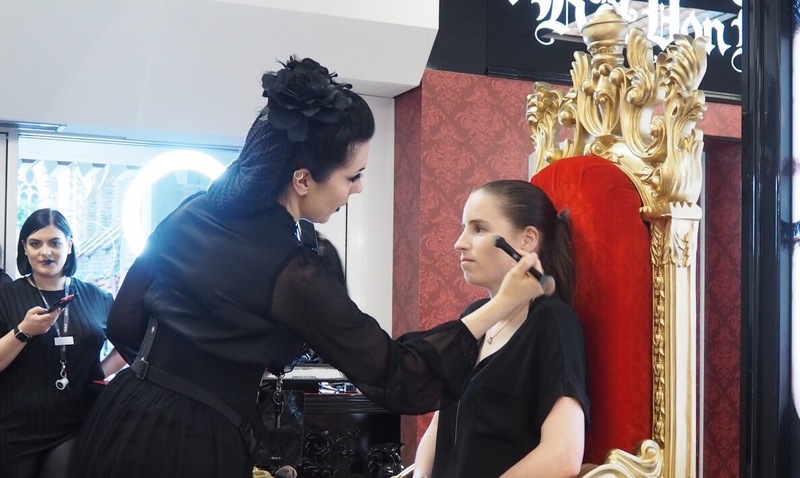 At the blogger event we got to have a play with some lusted after palettes, swatch the lipsticks, sniff the Kat Von D perfumes and watch the makeup artists in action. The looks they created were a bit nuts, but we were assured that Kat Von D is also accessible to your average Jane, it’s not all about black lipstick and pink eyeshadow. 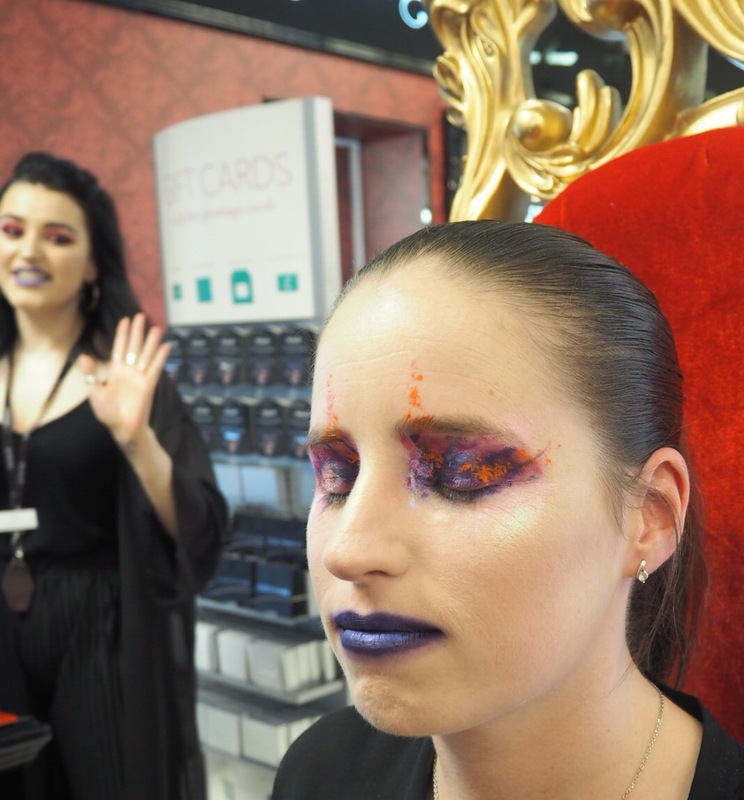 Whether you’re on the hunt for intensely coloured purple liquid lipstick or you’re in need of a long lasting foundation, head to yhe KvD counter in Debenhams. The makeover was sort of mind blowing. The model looked amazing, but I have no idea what this sort of makeup is suitable for- maybe a drag night at a goth club? Initially the model had her foundation gently applied using the Kat Von D foundation brush (which looked amazing btw), the mua mixed KvD Lock It foundation with a luminous primer for a natural finish then contoured lightly and applied a fine dusting of fine milled Lock It Setting Powder. So far so vanilla. The next part was the eyes. I’ve not seen makeup applied like this, she used A SPOOLIE TO APPLY LIQUID LIPSTICK to the eye area!!! She went free hand and created the most amazing painterly look. 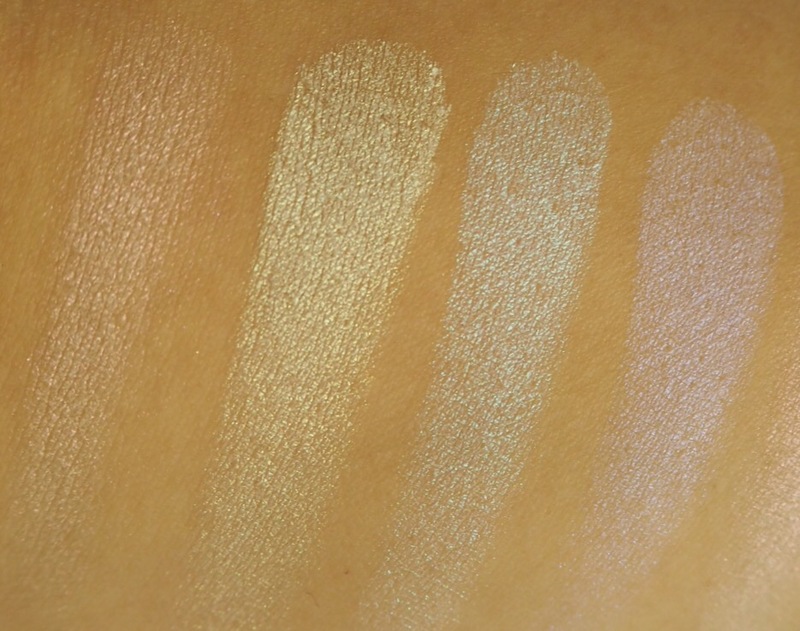 She highlighted with the Alchemist Holographic Palette (more on that later). The lip look was also bold- navy liquid lipstick blurred at the edges with a soft buffing brush. It had never occurred to me that I could blend lipstick as I would eyeshadow. To begin with the whole concept seemed like a terrible idea but despite my misgivings I really liked the end result. This is a top buy from Kat Von D. I’ve been struggling to create a realistic contour without looking like I have an orange stripe down my face. The Shade and Light palette makes it easy to create realistic shadow with no added grubbiness. 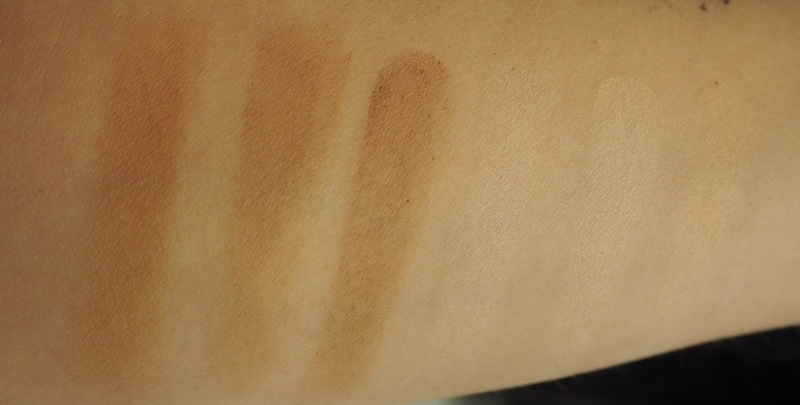 It contains 6 shades- 3 larger contour colours and 3 lighter matte highlight shades. You could also use the powders as neutral eyeshades. 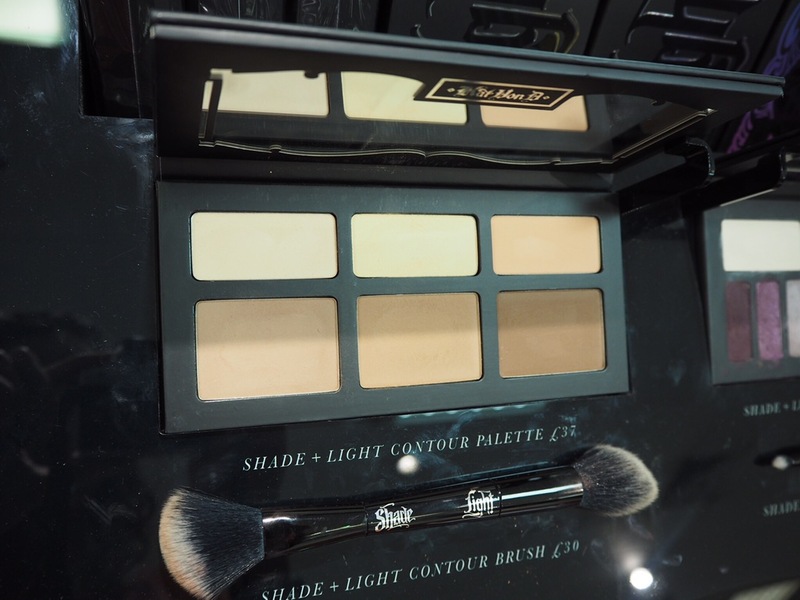 The Shade and Light palette is what appealed to me most at the event (I may have made a sneaky purchase). This is a beauty. 4 iridescent shades of different colours- pink, yellow, green and purple. The intensity of the colours is very pretty. Kat spent many years creating the Alchemist Holographic Palette as it’s a product that doesn’t exist elsewhere. The KvD ladies aren’t sure whether this palette is a permanent fixture, so it might be going at some point. I really wanted to buy it because it’s so pretty, but it would pretty much just be used for smiling at purposes. I had a mini trial sized Tattoo Liner to try out, and it’s fab. 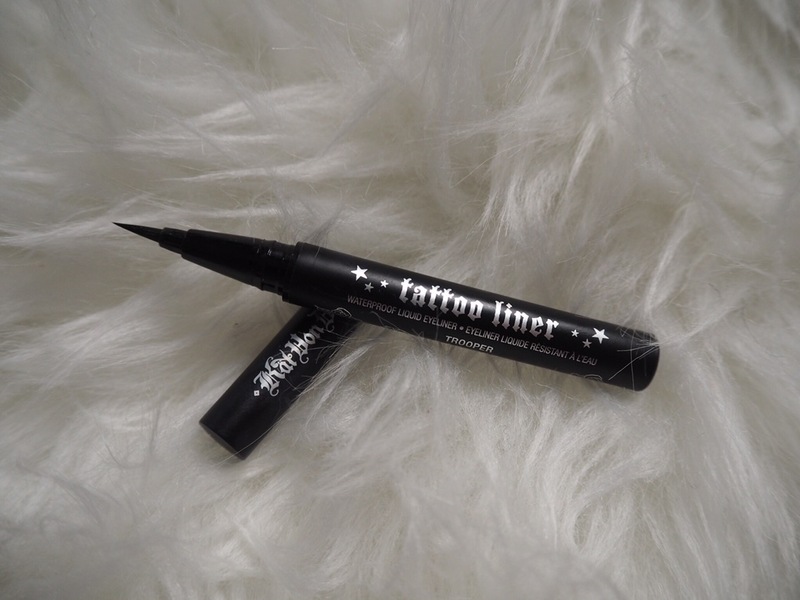 KvD Tattoo Liner gives a really intense black liquid line and it’s extremely easy to use. I’m not a giant fan of pen style liquid liners (they have a tendency to dry out quickly), but Tattoo Liner is the best I’ve tried so far. Although it looks like one, it is not actually a felt tip, it’s actually a densely packed brush. It lasts well, but it’s no tattoo, the end of the day the wing is a bit crumbly. Tattoo Liner is a definitely a good purchase for anyone who struggles with liquid liner. Lock It is a full coverage, long lasting near matte foundation and comes in a whopping 30 shades. Sorry I didn’t nab a photo of Lock It, I’m a naughty blogger! 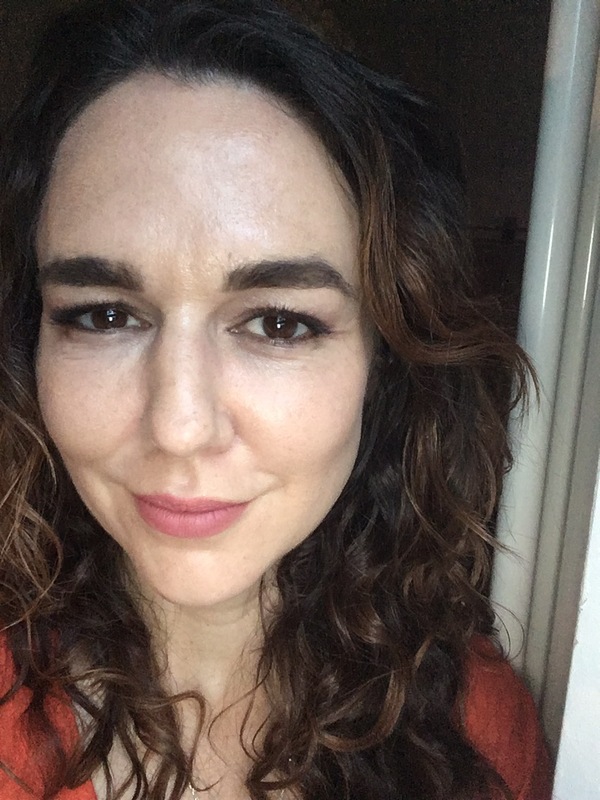 But here’s a snap of me wearing it after the lovely KvD lady applied some (also contoured with the Shade and Light, hence the killer cheekbones). I got colour matched and took a sample (rather generous sample which has lasted all week). I had shade 47 Light Neutral, which is perfect. It looked perfect after the event but my own attempts with Lock It have totally failed. Lock It is pretty tricky to apply, you have to blend quickly. The coverage is full on concealing, which isn’t a problem for me. I’ve found that Lock It tends to clump and wear terribly. It sort of collects by my nose and rubs off elsewhere. It’s meant to last 24 hours, but after 2 hours my husband was pointing at my face and telling me I looked patchy and weird. I don’t know if it’s something I’m doing wrong, I’ve tried it a few different ways. I’m afraid Kat Von D Lock It foundation is a no buy for me. All in all Kat Von D makeup is a hit. I love the aesthetic and most of the products I played with were hits. It’s all vegan and cruelty free. My top picks would be the Shade and Light Palette and Tattoo Liner (and the Alchemist Holographic Palette was very pretty but I don’t think I’d get a lot of use from it).